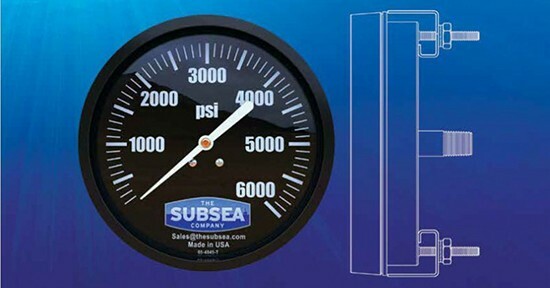 The Subsea Company improves its line of True Precision Pressure Gauges. At The Subsea Company, innovation comes standard. Since last year, the manufacturing company has been tweaking its already precise proprietary equipment and parts and ensuring that all Subsea Pressure Gauges are Subsea Certified. What does that mean to the consumer? Each gauge is individually calibrated, hydrostatically tested and certified for deep-water use. Rugged and designed to offer superior corrosion resistance, Subsea Pressure Gauges provide excellent subsea performance with high quality internal stainless materials that provide precise temperature and pressure compensation. Another reason customers choose superior Subsea products is because the company performs rigorous testing and compliance standardization for each product and equipment that it manufactures.